As part of the launch of our Eco-Tourism Program at Project Wadi Attir, we have recently completed installation of our traditional Bedouin hospitality tent. 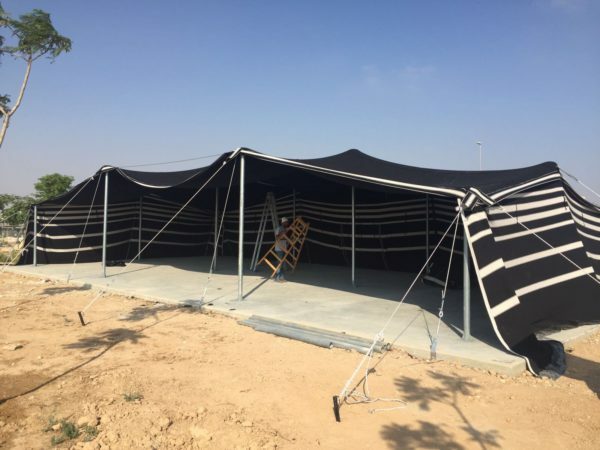 The installation of our traditional hospitality tent onsite represents a different kind of interaction with the Bedouin community, one that begins in the tent, but expands outwards to so much more. By strengthening its eco-tourism infrastructure, the project is providing an opportunity for young Bedouin leaders to present an authentic picture of their past, present and future through an immersive onsite experience, enriching the iconic Bedouin tent visit with a tour through a productive, technologically-advanced, sustainable desert farming community. This is just the beginning! 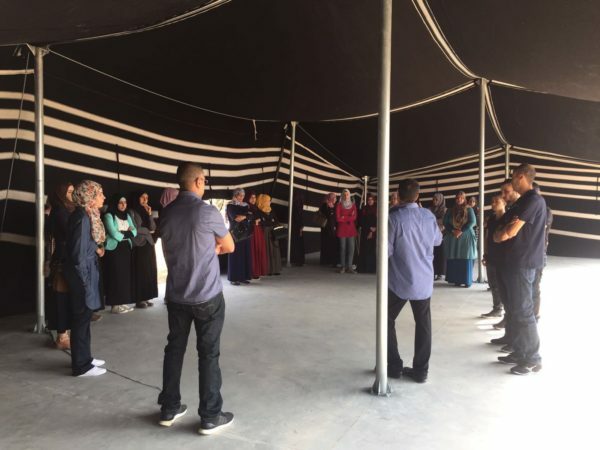 By fostering deeper connections and understanding between visitors and members of the Project Wadi Attir team, and by presenting a rooted, but forward-facing vision of the Bedouin community, we believe we can begin to combat years of marginalization in Israeli society and in the world at large, and contribute to greater community empowerment, economic development and well-being.